The Town Treasurer is responsible for developing, implementing and maintaining a comprehensive financial management system for the Town including centralized accounting, financial and budgetary reporting. She also ensures compliance with generally accepted accounting principles and governmental accounting practices. 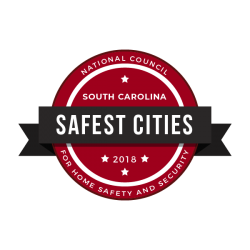 The Town of Irmo is subject to an annual audit of its accounting practices and internal controls by a qualified independent auditing firm as well as random audits conducted by South Carolina Governmental Agencies to ensure compliance. The Town of Irmo prepares an annual budget each year for the upcoming fiscal year. The Town’s fiscal year runs from July 1 to June 30 of each year. The fiscal year budget is adopted by Town Council for implementation. Due to the importance of Fiscal transparency, the Town is one of the “pioneers” of the local government transparency initiatives that post their expenditures on the South Carolina Transparency website. The website was created in 2008 by South Carolina Comptroller General.